There is an issue in this world, people, and it's not unique to Fort Mac - but it happens here, too. It's something you've probably heard a lot about - in the media, in your kid's school, and maybe even at work. Some of you might be on "anti-bullying" overload - but ignoring it won't make it go away. And ignoring it might have much more drastic consequences, as we have sadly seen in recent months with teen suicides linked to bullying. So, the Fort McMurray Public School Districts' Networks Committee is doing something about the issue in a local sense. They are presenting a five-part series called "Beyond Cyber-Bullying", a series designed to inform, enlighten, and address the issue. And people - I think this is something we all need to think about. I've spoken to people about bullying, and often the response I've heard is "well, I was bullied and I'm okay". The thing is, though, being bullied twenty years ago is not the same as it is now. I admit it - when I was in Grade 6 I changed schools and had two hellish years of being tormented. However, at the end of the day I could go home and shut the door, and leave the bullies outside. It's not so easy now. Now the harassment can be pursued over cellphones, Facebook, chat rooms, IM - and leaving it outside isn't so easy. The reach of the bully is now insidious, with suddenly the possibility of unflattering photos or comments appearing all over the internet. The very nature of bullying has changed with the explosion of the internet, and to deny it is to risk great damage to everyone. You see, I think we need to not only protect those who are bullied but to identify those who are doing the bullying. I don't think such behaviour comes out of nowhere, and I think those who bully, especially children, are reacting to their own situations. 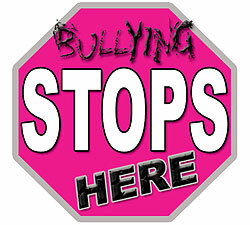 Just as being bullied requires assistance those who bully are, I think, often crying out for help in their own way. This isn't just about victims and victimizers, this is about how we address the issue and showing our children how to interact in positive and healthy ways. The point is that in a bullying situation no one is happy - not the bullied, and not the bully, either. It might seem that this issue has received tremendous attention, and perhaps it has - but deservedly so. I think no matter what side of the equation - bully or bullied - you can be left with long term scars and it can affect how one feels about themselves, other people, and the world in general. There are no members of our community more vulnerable than our children, and we need to not only protect them from being bullied but prevent them from becoming bullies, too. "Beyond Cyber-Bullying" will be held on Wednesday November 23rd, from 7-9 pm, at the Clearwater Public Education Boardroom (231 Hardin Street). You can attend in person, which is strongly encouraged, or you can attend over the internet through the Fort McMurray Public School website. If you register you can even ask questions online during the webinar, and there will be several experts available to answer. You can register to attend here, and I sincerely hope you will consider it - whether you are a parent, a concerned community member, or just someone who would like to know more about bullying. People, sweeping it under the rug isn't making it go away, and ignoring it comes at the peril of our children. So, learn about it, talk about it, and refuse to accept it - because we can make a difference. 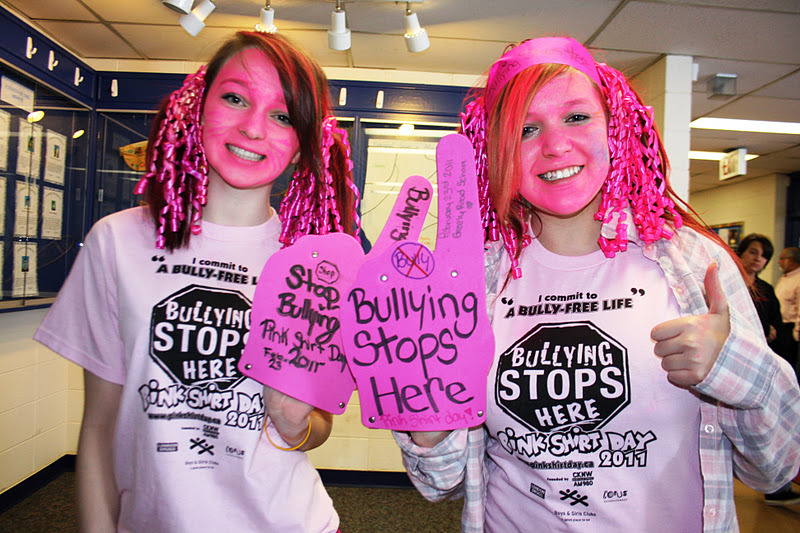 The time has come, and this is your chance to take a step in stopping bullying. It's up to us, Fort Mac. Bullying stops here. WOW". I could not have said it any better. Love the blog!